My name is Ajay Partap and I’m from Kannauj (UP). I’m a post graduate; however; due to psychological complications, I could not sustain my job for a long time. I was so hopeless that I started searching a painless and easy way to finish myself. While surfing on the internet, I found out about Guru Amar Das Apahaj Ashram. This Ashram is located near village Sarabha of Ludhiana district in Punjab. On November 19, 2016, I gave a miss call on Ashram’s mobile 95018-42505. Within a mere second, the founder of the Ashram, Dr. Naurang Singh Mangat from Canada, called me back. He politely enquired about my sufferings and assured me the treatment, care, and shelter. I immediately set out for this distant and unfamiliar place. At any railway station, a cup of tea costs Rs 10, food Rs 40, a water bottle Rs 20. About 75 disabled, paralyzed, mentally challenged, sick homeless patients are living in this Ashram. Everyone gets a meal and tea three times a day besides milk, fruits, sweets, clothes, medicines WITHOUT PAYING A SINGLE RUPEE. I got the best treatment FREE OF COST. After recovery, I was employed to distribute medicines to the inmates of the Ashram (see picture to right above). This was the start of my new life for a noble cause. In this article, I share more information regarding this charity that is saving the poor, sick, and near death people living on streets since 2005. The vulnerable and homeless sick, virtually living in hell on the roadsides and other places, are brought to the Ashram (see picture) where food, clothes, health care and other necessities are provided FREE OF COST. About 250 homeless-sick have been admitted in the Ashram since 2010. Some of them expired; some regained health after treatment and started to earn their livelihood again. The remaining patients who are unable to improve much live in the Ashram permanently. At present about 75 (55 males and 20 females) are living in the Ashram. Out of these, more than 20 patients are critical. These patients are mentally and physically disabled, unable to answer the call of nature, cannot recall their own name or whereabouts. Two female and four male employees look after patients. Two males and three females prepare langar (tea, food, etc.). Dr. Jai Kamal examines patients and prescribes general medicines. Dr. R.L. 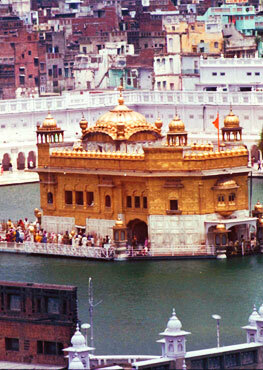 Narang (without any consultation charges). Ajay Partap Singh (author of this article) distributes medicines. The Ashram also has 4-5 volunteers who help in day to day activities. 4:00am to 5.00 am: Tea for employees and volunteers who perform duties. 4.30am to 6:00am: Prayer time. 6:00am: Preparation of tea and Langar (food) begins. 7:00am to 8:00am: Tea is served to all patients, employees and volunteers. 9:00am to 10:00am: Langar (breakfast) is served. 10:00am onwards: Cleaning, medical and nursing care, etc. 1:00pm to 2:00pm: Lunch is served. 3:00pm to 4:00pm: Tea for all. 5:00pm to 6:00pm: Dinner is served. 6:00pm-7:00pm: Path of Rehras Sahib. Abhishek: After doing menial jobs, he used to sleep at night at railway station in Ludhiana where he was infected with Tuberculosis (TB). 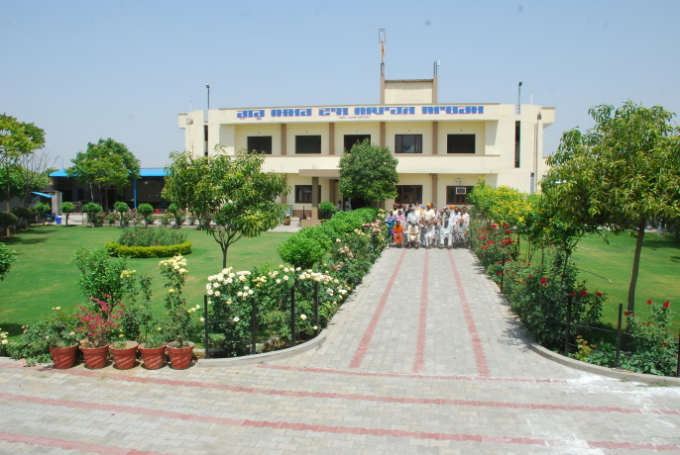 Abhishek was examined in Civil Hospital Ludhiana and shifted to this Ashram. After getting cured, he went back to Ludhiana for doing job but shortly after became infected with TB again. This time doctors told him that he might not survive. He expired in the Ashram on January 24, 2018. Ashok Kumar: He was infected with TB and living on the roadside in Ludhiana. Ashok was shifted to the Ashram in March 2018 but recently he has been again shifted to civil hospital Ludhiana. Nimmo: She lost her right leg completely in an unfortunate train accident; while her left leg no longer has any more movement. Mohan Singh (80 years old): He belongs to village Bararwal (Sangrur). Mohan was working in a nursery when he became paralyzed. Having no family and no home, he has been living in this Ashram for the last 2 years. From Happy Life to Mentally Sick & Homeless: Jaswinder Kaur was leading a happy life with her husband Harminder Singh in a rented accommodation in Ludhiana. As she aged, she developed a mental illness and her husband took care of her. After her husband’s death, she was thrown out of rented accommodation by the homeowner because of her severe mental sickness and nonpayment of rent. Now she has been living in the Ashram since February 2018 and does not remember anything about her husband and past life. She was violent when she came to the Ashram; but now she is controlled by treatment. From death bed to heavenly place - Gulab: After being hit by an unknown vehicle, mentally sick Gulab became paralyzed. He spent about 8 months (July 2009 to Feb 2010) on the roadside in a tragic condition. He was picked up by Dr. Mangat in Feb 2010 and treated in hospital. Since then he is living in the Ashram. Promila: She is a mother of 5 and developed a mental illness. Promila was kicked out of the shanty (Jhuggi) in UP by her husband Mahanvir because he was unable to afford her treatment. She spent months in a mental facility in Agra and then somehow reached Ludhiana and started living on the street. Promila was noticed by volunteers of Insaniyat NGO and brought to this Ashram for further care. Balwinder Kaur (Bholi): With an impaired body balance, Balwinder also faces a mental disability and low intellectual functionality. She had been living on the roadsides of Sahnewal for 7 years. 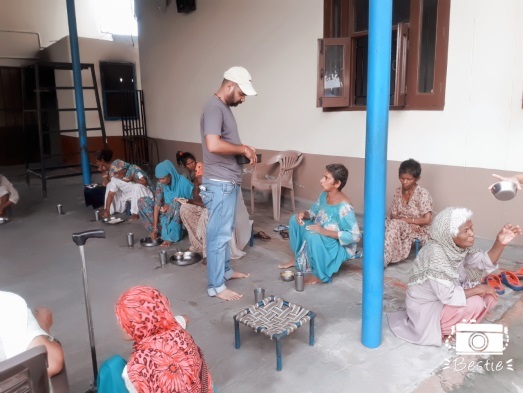 Balwinder was shifted to this Ashram in April 2018 by few samaritans of the same village. She was living on rent with her husband, son, and daughter. After her first husband’s death, her parents arranged for her to be married again. Shortly after her daughter’s wedding, Balwinder’s second husband Pritpal Singh also expired. Unable to pay rent, she started living on roadside while her son is doing labour jobs and his sleeping place is unknown. Construction of third storey of the Ashram is urgently required to cope with the incresing number of homeless sick patients. Santokh Singh, VPO- Abbuwal; Dr. K.S. Dhillon (Retd. Professor of PAU, Ludhiana); Hardam Singh Mangat (Retd. AGM , State Bank of India) Ludhiana; Dr. Naurang Singh Mangat ( Former Professor, PAU Ludhiana ), Major Singh, VPO-Daad ; Mrs Harinder Kaur, VPO-Abbuwal; Amarjeet Singh, Ludhiana.